Poetry has become for me a non pharmacological and positive psychosocial intervention for dementia, especially the types of poem writing requiring specific formats. I write a lot of haikus, and occasionally a villanelle or sestina, but lately have been researching a few more styles. The triolet is my next quest, and hopefully the explanation further below will help me. Ms Ioana Petrecsu taught me to write and better understand poetry at the University of South Australia, and in the beginning I did not think it was something I would keep doing, but now, there is barely a day go by when I don’t write a poem, or at least work on some. Writing haikus and other poetry forces me to use my brain differently, and with a level of effort that was totally unexpected. Thank you Ioana. It uses the creative side of my brain, one that wasn’t used much pre dementia apart from when I was cooking! My art teacher at school actually kicked me out on day 1 of Art, telling me I was useless at it because I did not perform well drawing a chair, and sent me to the home economics class! This would not be allowed to happen today, and certainly held back my creative side for many years, but the home economics class was brilliant and has helped me every day of my life, so maybe she did me a favour. I find writing and reading poetry therapeutic and enjoyable, and a meaningful and engaging activity for dementia. It is most definitely a positive one, much more fun than Bingo! The effort of thinking about how to write haikus has been a useful tool, part of the neuroplasticity brain training, and also much more fun than some childish iPad App. It also forces me to use another dictionary, which must be good for my brain. 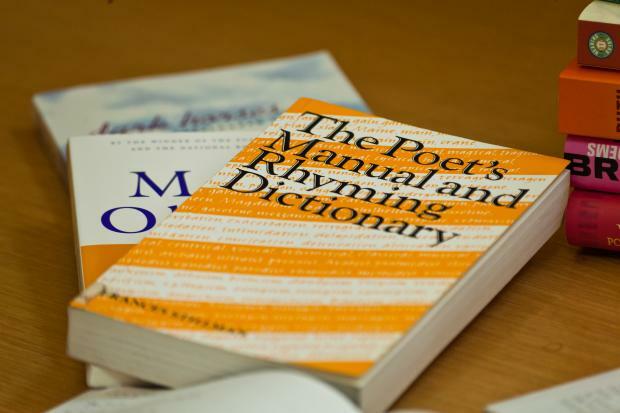 Whilst I don’t have any evidence based clinical research to support my theory about poetry, it makes good sense to me, and any new learning, the experts say, is a useful and positive intervention for dementia. A triolet (pron. : /ˈtraɪ.əlɨt/ or US /ˌtriː.əˈleɪ/) is a stanza poem of eight lines. Its rhyme scheme is ABaAabAB and often all lines are in iambic tetrameter: the first, fourth and seventh lines are identical, as are the second and final lines, thereby making the initial and final couplets identical as well. And I’m afraid it’s you. This year, next year will do. Kate, your poems are amazing-well done! Poems are a good way to help remember things and keep them in the brain. Like you, i am terrible at art and failed art and have been told off by teachers-thankfully i haven’t had to do art for almost 4 years now. Art is boring LOL! Your poetry is VERY creative! Wow, that over the top!! poetry can be good for someone to get something “off their chest”. I used to write it, but I never liked reading it and I don’t like writing it now. But I was writing it for a few years soon after my diagnosis …… but while I did it I really loved it.